5 Tips and Ideas for Spring Photos YOU can take! Let’s be honest- it’s not realistic to hire a photographer to follow you around taking photos of the spontaneous moments, or even the well planned traditions, happening during this Spring season! So, we are here to share some ideas and photography tips for you to take matters into your own hands, and document the fun moments happening throughout this fun time of year! These ideas and tips are just as useful with a handy-dandy cell phone camera as they are with your point and shoot or DSLR! So, let’s jump in! #1 Get out into the Flowers! One of the best parts of this time of year are the blooms bringing new life to all around us! 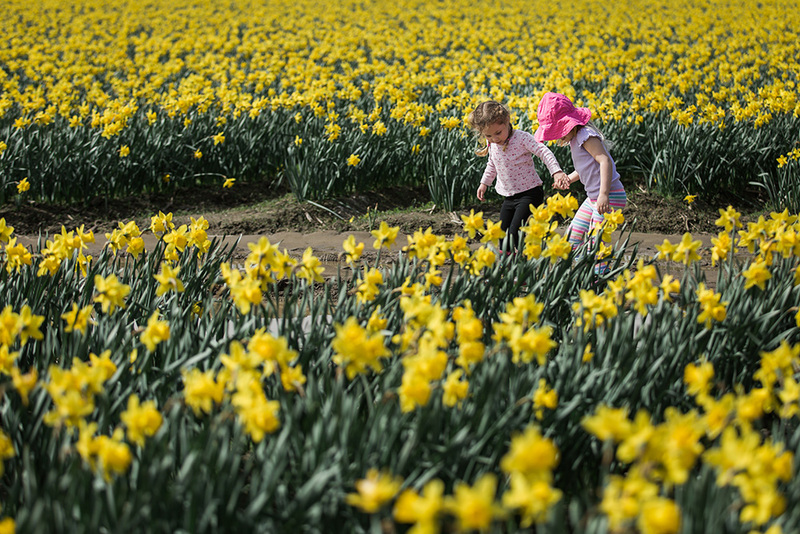 We are lucky here in Western Washington to have the Tulip fields in Mount Vernon so close by! If you haven’t made a trip out to see the blooms this time of year, I highly encourage it! If you want to avoid the crowds, there are also amazing fields down in the Puyallup Valley, so you have both ends of Western Washington covered! Of course, bring your camera and maybe a picnic – a dramatic, stormy sky can be just as beautiful as a blue one filled with puffy clouds! And really, what kids doesn’t love mud? Just be sure to bring an extra change of warm clothes, just in case mud or a sudden shower catches you off guard! Of course, you needn’t go far to find beautiful buds! There are flowers to be found everywhere! Even a local nursery can provide a beautiful backdrop for some fun flower photos! Bring your camera with you next time you go stock up on this years annuals and garden starts! Photography Tip: Keep your camera safe and dry! Just in case the rain (or mud) does catch you by surprise, think about bringing a case or bag to keep your gear dry and safe! For very little money, you might even invest in a rain cover to really protect your DSLR. We found ours on Amazon for less than $10 here. Be warned, it does take a little getting used to taking photos with one on! #2 Prime Puddle Jumping Season! If there is one thing kids love, it is jumping in puddles. And we are currently in prime puddle jumping season! 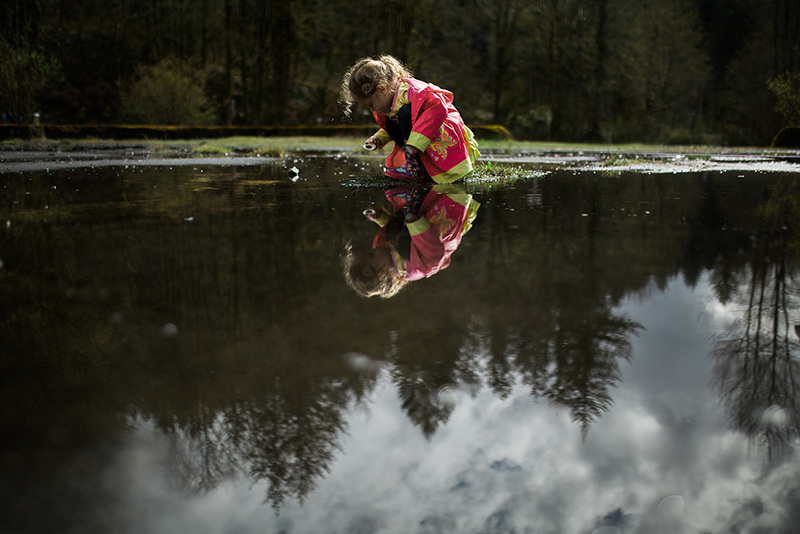 Spring showers fill up all our favorite puddle spots, and when a break in the rain reveals itself we pop on our boots and head outdoors! As a photographer, I especially love puddles because of the interesting reflections I can get off them. Obviously, the water has to be still and undisturbed for that, and usually in between jumps and during a quieter moment (they happen occasionally…) I can get a good reflection shot! But, I mean… the fun is in the splashing, right? Photography Tip: Keep and eye on your shutter speed! If you are using a camera that allows you to control shutter speed (i.e. how fast your photo is “clicking” ) keep your eye on it and do some fun things! A slow shutter speed (1/50th of a second, for example) will get the motion of the jump and the water droplets – or if you want to “freeze” that action, keep your shutter speeds high! 1/500th of a second or more! Are there certain things you do EVERY year? For a lot of us, decorating Easter eggs is a traditional activity we do EVERY year! But maybe for you, it is a certain trip you take? A family event you participate in? Holidays you celebrate in a specific way, with certain people?! Whatever your traditions are this time of year, it is time to document them! The decorations you get out, the people you see, the special outfits you wear, the manner in which you celebrate spring – it is ALL worth documenting, because next year something will be different… and other things never change one bit… and that is what makes traditions so amazing! Photography Tip: Vary your shots to tell the story! The trick with traditions and activities that happen every year… is finding ways to photograph them in new and unique ways. Obviously, get the straight on shots of the action, but then consider getting in close for the little details, or shooting from above to get an entire scene, or shooting from very low to get the perspective of the littlest family members… all of these add to the story of your traditions! Here in the Pacific Northwest, it feels like we have been in hibernation mode for months! the arrival of Spring brings slightly warmer temps, and more frequent dry days – and with that, we head out! Here in the Snoqualmie Valley, we are really lucky to have so many incredible hiking trails within a few miles of us. And almost all are very family friendly! 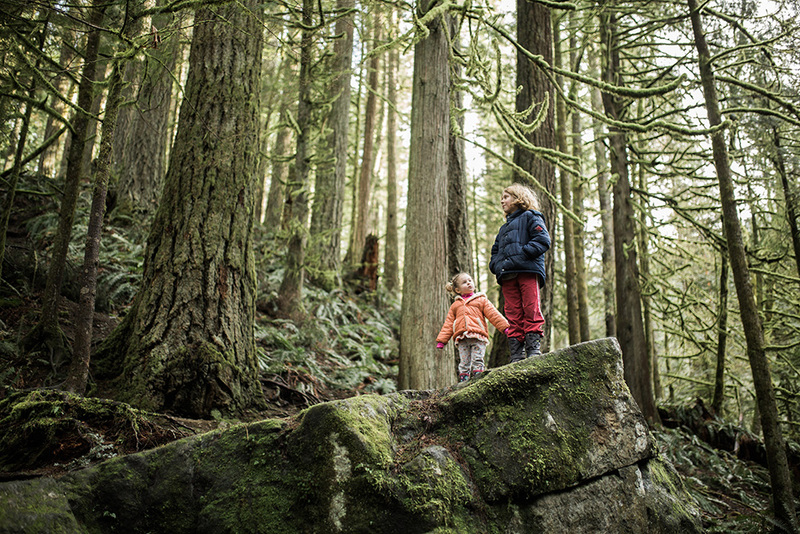 Even if we head out on a short spur of the moment adventure, we feel good knowing that we are taking some time to help our kids cultivate an appreciation for the beautiful surroundings we live in. Take a quick hike at Twin Falls, Rattlesnake Ledge, or on the Middle Fork! Those are some of our favorites! Photography Tip: Be ready to carry gear in comfort! Carrying a heavy camera while hiking can be cumbersome and unenjoyable! Use your cell phone (so small and easy to carry!) OR invest in a good, padded backpack to carry your camera gear and any safety/survival gear you might need! You never know if somebody is going to trip and need a band aid, or an emergency granola bar! I got a new favorite for Christmas, and I am excited to take it out on the trails! Find it here. And, for extra good measure… the camera insert to give it extra protection can be found here. Ok, the truth is, sometimes you have to find plenty of indoor activities too. In fact, as I type this, it is literally pouring rain and I even heard a few crashes of thunder. But, it is also Spring Break, so unless we spend all week in front of a screen (blech!) we have to be creative about finding things to do inside too! 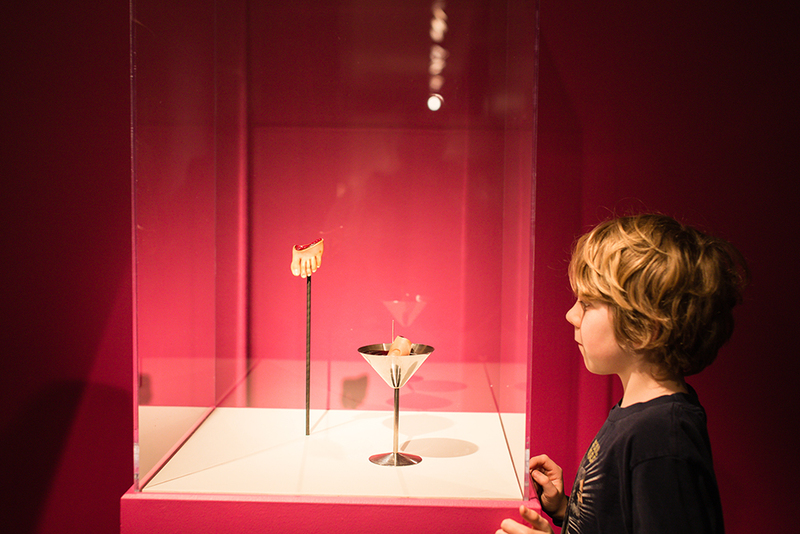 Our kids are getting older, which means we can start exploring some of the incredible art museums around us. There is so much to be inspired by within the wall of a local art museum! And a lot of times, there are sections of the museum devoted to kids! The Bellevue Art Museum is a great, local example of this! But, there are loads of hands-on, play museums specifically for kids as well! Get out there… and bring your camera too! Photography Tip: Check on Photography Rules! We hope these ideas and tips get you thinking about the fun things you have happening during this Spring season – and more importantly, gets you out there taking photos of your own! It may be sentimental and sappy, but truly, having these snapshots of your day-to-day life will be a treasure to cherish in the years to come! Wishing you a very happy Spring! And remember… life’s a trip! Take photos along the way! I feel so fortunate to have you in my family following us around. Your work is creative and professional.